Metal detecting for gold nuggets isn’t easy. Even when you are in a good area and you are using a quality detector, it can still be tough to find those elusive nuggets. But sometimes prospectors set themselves up for failure. They prospect in areas where they could hunt forever and they would never find a single nugget. Gold nuggets don’t exist just anywhere. In fact, even in states that are extremely rich with gold, only a fraction of the landscape has gold nuggets. For example, the state of Alaska is famous for its rich gold mining. However, there are literally thousands and thousands of square miles of land in Alaska that has essentially no gold. So you’ve got to be in the right places. And even if an area does have gold, it doesn’t mean that there are gold nuggets there. For example, there is a place that I have prospected near Weaverville, California that has some huge hydraulic pits left behind by the early miners. Most people would assume that these are great places to hunt for gold nuggets. However, even though these old hydraulic pits produced millions of dollars-worth of gold, none of it was large pieces. All of it was very tiny flour gold. You could metal detect all day and you just aren’t going to find a gold nugget there because the gold is much to fine textured to be found with a detector. 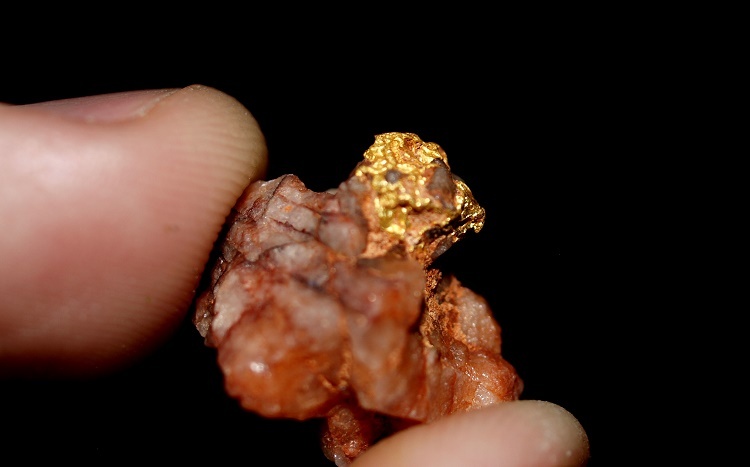 If you never find a gold nugget then you are going to lose interest in the hobby and probably give up entirely. Don’t let it happen! There are still plenty of gold nuggets out there to find, but have to hunt smarter and harder if you’re going to be successful. As with any type of gold prospecting, research is critical if you want to be successful. You have to find the places where gold exists. This is especially true if you want to find gold nuggets. Even if you are in gold country, the places where gold nuggets occur can be tough to find. They just aren’t very common, so you need to research places where they have been found in the past. There is an abundance of information available today that will help you find the areas that have gold nuggets. Once you’ve actually found an area that you know gold nuggets were found in the past, it’s time to start detecting! You’ve done the hardest part, but now you need to make sure you are equipped with the right gear for the job, and a metal detector specifically designed for gold hunting is very important. Put yourself in a known gold nugget area and swing a good gold detector. All you need next is patience and persistence and you are sure to start finding some nuggets!